Your physical and mental health are essential for leading a happy life. Without it, nothing else matters. Canada is suffering from a health crisis; the majority of adults are living sedentary lifestyles. They wake up, go to work, sit all day, drive their cars home, and sit down to watch television. Even Canadians who may not be overweight are still putting their health at risk by not participating in regular exercise. Leading an active lifestyle can be a challenge for some, as it may disrupt their daily routine. However, once you integrate healthier habits into your everyday life, you will find that the advantages are well worth it. When you and your family lead a healthy lifestyle, whether it be playing tennis or going on a bike ride together, can lead to other benefits. You will feel more energized throughout the day and have the energy needed to get things done. You won’t be dependent on coffee or energy drinks to get through the day; instead, you will have the natural energy to help you get out and do more with your day. Leading an active life can also have a positive impact on your mental health. Physical health is directly related to mental health, so when your body is healthy, your mind will be too. When you don’t exercise, you can experience depression, poor memory, and an overall lack of motivation in all areas of your life. The National Health and Fitness Day Act was passed in 2014. This bill states that the first Sunday in June is dedicated to encouraging Canadians to be active. The day comes with several perks like free access to gyms and day passes to national parks. 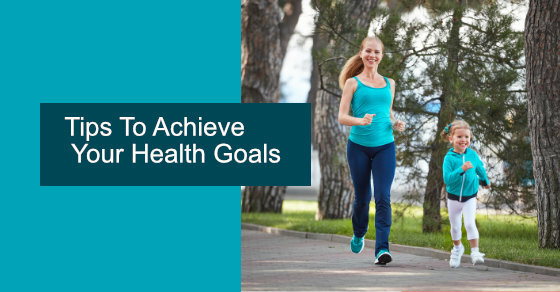 The aim of National Health and Fitness Day is to get families off their mobile devices and outside to participate in fun outdoor activities together. Kids today spend excessive amounts of time at home playing video games, watching TV, and lounging on the couch. The best thing that you can do for your kids is to provide them with the foundation for a healthy lifestyle. However, many parents are tired after work and don’t have the energy to take their kids out to play basketball, and they may encourage their children to stay inside and keep themselves busy. Things like television and video games may keep your children occupied, but it does absolutely nothing for their health. In reality, too much screen time can actually be detrimental to your children's health; it weakens their vision, shortens their attention span, and it makes them gain weight. An active lifestyle encourages children to get their blood flowing and gets their endorphins pumping; exercise reduces children's insulin level and will improve their overall mood. Much like adults, children need to get out, run, and explore the world. Instead of encouraging children to stay in the house, it is best to get out and get active as often as possible. Even if it’s just 30 minutes a day, exercise will encourage your children to lead a healthier lifestyle. Playing with your children can also be of benefit to you — it will help you to stay active, while giving you the opportunity to bond with your children. An active lifestyle is something that your children should become familiar with at a young age, as there are many benefits to being active. Once the value of a healthy lifestyle is instilled in your kids, it’s a value that they will carry through into adulthood. Physiomed is a chain of healthcare clinics that work with caring and skilled professionals, staffed by individuals who will focus on helping you lead your best life. Our goal is to educate and prepare you for any health issues that may arise and give you the knowledge you need to lead a healthy lifestyle. At Physiomed, we can help with chronic condition management, health improvement, weight management, pain and injury treatment, and more. Get in contact with a trusted healthcare provider now. Contact Physiomed by finding a clinic near you, or contact us here.